Photo 3319 (Bayonne) by Gordon C Harrison. 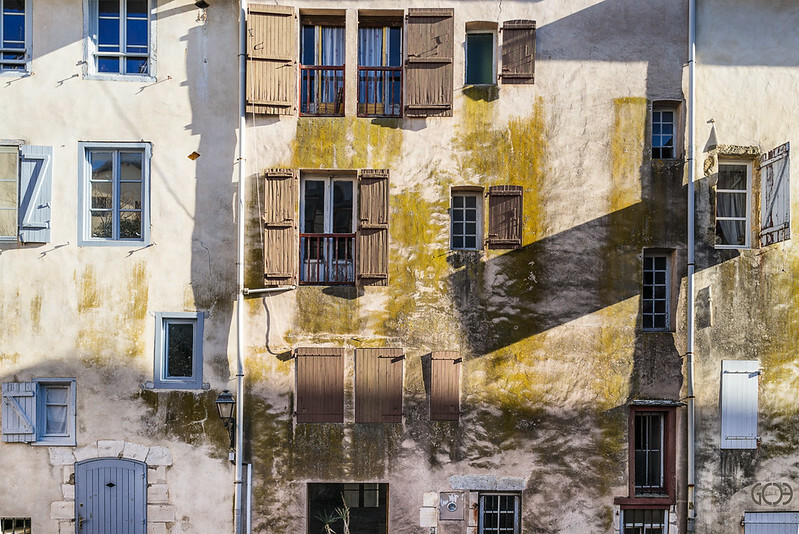 In the old part of the city of Bayonne in France there are narrow lanes with some wonderful old buildings. I came across this one in the late afternoon winter sun and it was the shadow cast by the open shutter that caught my eye. As I wandered the old lanes of Bayonne I found myself unable to stop taking photos. Can be bought from our photography website at http://www.gordon-c-harrison.co.uk. For more information about this click the Photography menu item.